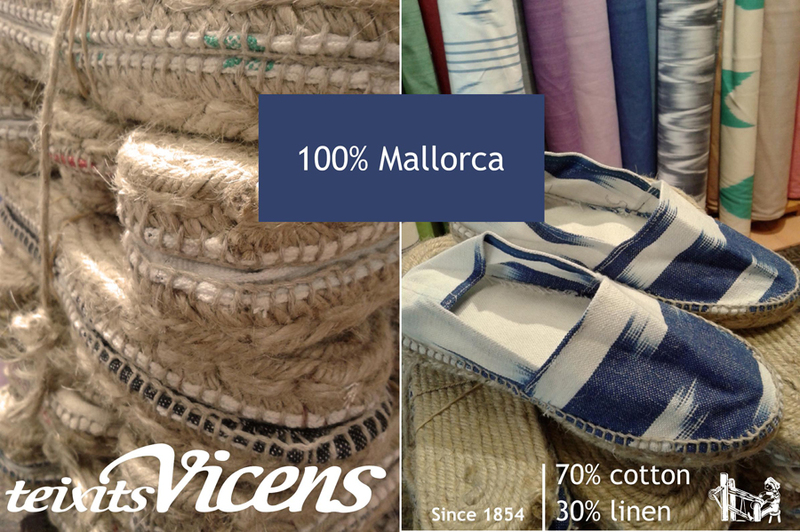 In Teixits Vicens we elaborate with a craftsman of mallorca, the typical Majorcan espadrille of esparto. The espadrilles preserves its naturalness and originality without adding soles of plastic. Together with our traditional Mediterranean fabrics, every piece is unique and a trip to our origins.